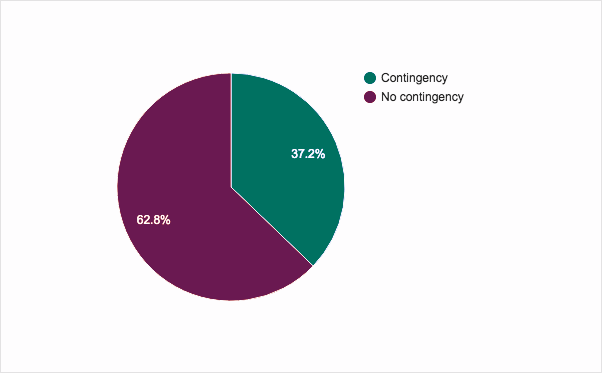 According to a last minute poll carried out by ORESA Executive Search today, 63% of consumer businesses have made no business contingency plans, should Britain vote to come out of the EU. ORESA ran a poll surveying MDs, Founders, CEOs from across the consumer & retail sector, to see if there had been any last minute changes in sentiment as the debate reaches its peak in the final days. “As part of our on-going research and insight programme, we thought it would be interesting to understand the views of the consumer sector on the impending EU referendum as we enter the final stretch” says Orlando Martins, CEO and Founder of ORESA. Others identified the potential for short term disruption as an opportunity; “The issue is perception. The pound will drop and the stock/bond markets will be volatile for a while but the reality is it makes no difference: leaving will cause a bit of carnage and that will mean opportunities for some entrepreneurs” said Business Management Consultant, Mark Dugdale. 82% of respondents said they were in favour of remaining in the EU, reflecting recent reports that the retail industry and consumer sectors are in general strongly backing the remain campaign. Should Britain vote to remain in Europe 37% say it will simply be “Business as usual” 29% said they will push forward with further expansion plans whilst only 6% say it will be a “missed opportunity”. A survey of ‘C’ Suite leaders reveals an incredible 90% anticipate the role of The Chief Customer Officer will increase in importance over the next 5 years. 66% say there is definite need for the role and 56% believe the CCO will be the CEOs of tomorrow, indicating more traditional, senior marketing roles, may be a thing of the past. The research, produced by ORESA Executive Search, follows a surge in industry hires where traditional, senior Marketing roles have been replaced in favour of Chief Customer Officers. ORESA surveyed MDs, Founders, CEOs from the consumer & retail sector, to produce a report that explores how businesses are evolving through the hire of a CCO or Customer Director. Last year, John Lewis made a dramatic shake up of their senior structure, abandoning the traditional Marketing Director role, moving Craig Inglis into a Customer Director position. Topshop Digital Director, Kate Walmsley, announced in January, she would be will joining Warehouse as Customer Director and in February, River Island promoted marketing boss Josie Roscop to this new position. “Customers today are armed with more information, this means to be a market–leading consumer brand, companies need to differentiate, innovate and compete. Innovation does not apply only to systems but also an organisational design that enables operational excellence. This has led to organisations hiring Chief Customer Officers or Customer Directors” says Orlando Martins CEO and Founder of ORESA. “If customer experience is the key to competitive advantage then organisations must listen and address customer needs. One way to ensure that this happens, is to break down internal siloes and make a senior Director responsible. This is the purpose of the CCO” he adds. Speaking at an ORESA hosted debate, on the role, Susan Aubrey-Cound, Consultant and former Multichannel Development Director at Marks and Spencer, suggested “There are a lot of what I would call traditional marketers, still at the top and they’re doing a good job, but actually they’ve not got a broad enough skillset, so the only way to get around that is to create a different role”. “It is important to recognize that a Chief Customer Officer is not a sticking plaster for a company’s customer experience problems” adds Martins “If an organisation is considering hiring a CCO it is for that business to clearly determine the role and remit based on their internal needs and strategic objectives.